Ant-Man keeps adding and removing actors every other day it seems. After losing Edgar Wright my interest in this movie has complete shifted. I was hoping that they would go in a different direction but it appears that they are just doing the typical Marvel formula. 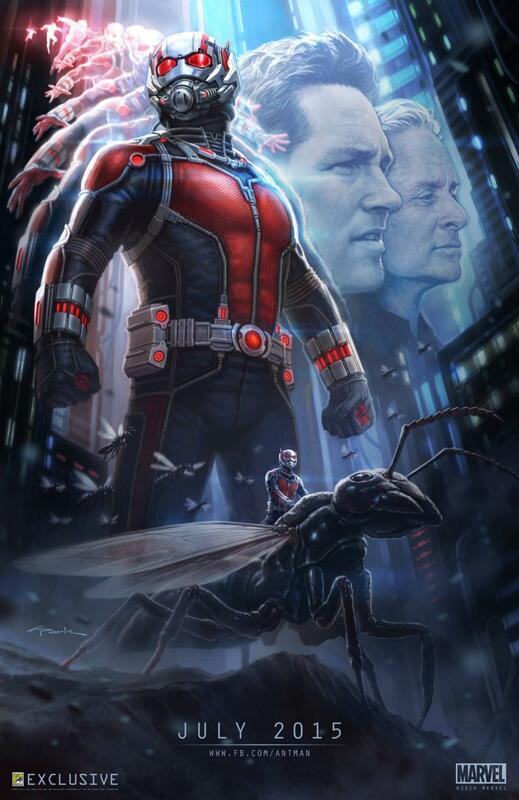 Con-man Scott Lang must aid his mentor Dr. Hank Pym in safeguarding the mystery of the Ant-Man technology, which allows its user to decrease in size but increase in strength, from various menaces and plot a caper to defend the Earth. Directed by Peyton Reed. Starring Paul Rudd, Michael Douglas, Evangeline Lilly, Corey Stoll, Bobby Cannavale, Michael Peña, Abby Ryder Fortson, Judy Greer, David Dastmalchian, Wood Harris, John Slattery, Gregg Turkington, and Tip “T.I.” Harris. Marvel Begins Phase 2 of the Avengers!! It seems that Marvel is trying to get the Avengers 2 fast tracked as quick as possible. There Phase 2 line up has become vast and very diverse movies. The Guardians of the Galaxy has been official announced for an August 2014 release and I have to say that it is the movie I am most excited for because it gives the opportunity for lesser known Marvel characters the chance to shine on the big screen. Thor 2’s title has been changed to Thor: The Dark World which makes me think what is this movie going to be about and what exactly is the The Dark World? While I am not surprised with Captain America 2’s title being The Winter Solider, it just makes me wonder how they are going to make it as successful as the original. The other film that was official announced was Ant-Man which Edgar Wright has been trying to get made for a long time. If he is able to pull the movie off I will give him even more credit since I find his movies to fantastic and the fact that Ant-Man is a very hard character to successfully make appealing to audiences. The only question that I have for Ant-Man is “Are the going to include Wasp?” I can’t wait to see what each movie has in store and if they are going to be as successful as Marvel’s other big movies.